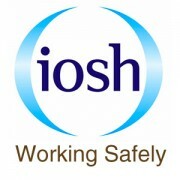 These highly successful, practical and certificated courses are delivered by UK Safety Limited as IOSH-licensed trainers. Trains workers to ensure that their actions contribute to health and safety in the workplace and that individual responsibilities are clearly understood. Working safely is intended for all people whose expose them to any form of risk. To make workers, at all levels, aware of their responsibility for safety towards themselves and others. Working safely requires a minimum of 6 hours direct input including tutor delivery, discussion groups, syndicate exercises and the use of self-teaching material. The course can usually be delivered in 1 day. Accredited certification will be gained through course attendance and final examination.